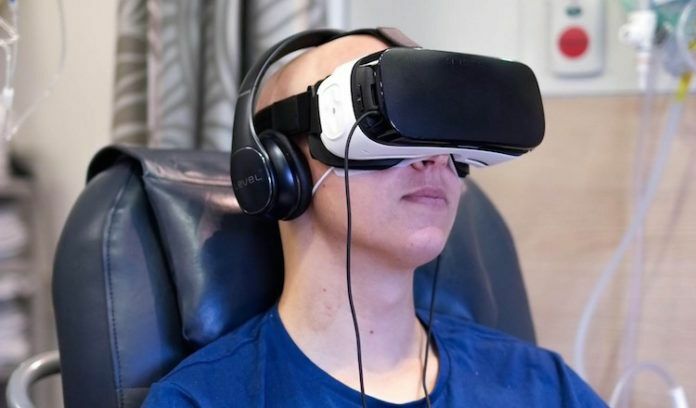 The project showcases the potential for VR to be used as a tool to help ease psychological stress and provide a form of “distraction therapy” during typically arduous chemotherapy treatments. Patients were provided with Samsung Gear VR headsets and the option to select an experience either from the Gear VR store or Start VR’s catalogue of content. Experiences ranged from transporting patients to a relaxing travel destination, plunging off an airplane in a skydiving stimulating experience, taking a boat ride through the Sydney Harbour, snorkeling through sparkling blue waters and petting Koalas at a zoo. The initiative was spearheaded by Start VR’s Head of Content Martin Taylor, who collaborated with Chris O’Brien Lifehouse and Samsung Australia to bring the partnership to life. Thriving on the inclusion of cutting edge research, discoveries and uncompromising care, Chris O’Brien Lifehouse embraced virtual reality as a treatment support option for their patients and had clinical staff guiding and supervising to ensure patient safety.